Dura-Kold KOLDVEST. Cool relief from heat distress. 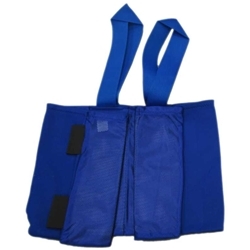 Vest is a universal size with adjustable shoulder and body straps. Safe, non-toxic, longlasting(up to 2 hours), hand washable and durable. Includes 10 Ice Mats. Go Team!